FLOORPLAN/MARK BROOM Floorplan V Mark Broom vinyl at Juno Records. 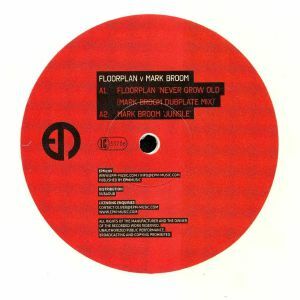 Some tip-top Transatlantic business here, as EPM Music brings together Motor City legend Robert Hood AKA Floorplan, and veteran UK techno producer Mark Broom. There's a treat on side A as Broom finally allows us access to one of his secret weapons: a previously dubplate-only remix he did of the Floorplan gospel-techno throbber "Never Grow Old". Broom's version is tough and percussive, but also makes great use of rumbling bass, restless organ stabs and glassy-eyed late night rave riffs. 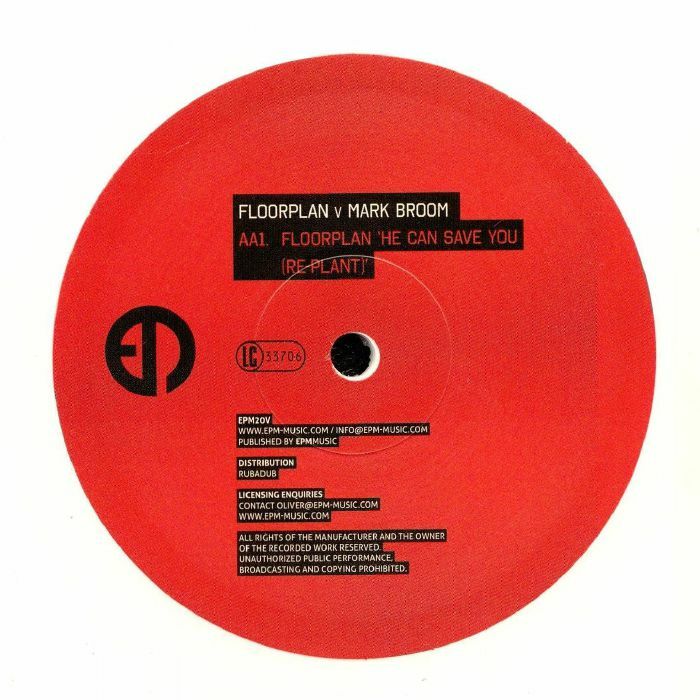 Broom's own techno jack-track "Jungle" - a blizzard of distorted percussion and wild electronic noises - opens side B, before Hood offers up a chunky "Re-Plant" of classic Floorplan roller "He Can Save You". It not only features spoken word preacher-man vocals, but also a mind-altering riff reminiscent of Lil' Louis classic "French Kiss".